I like shoes. Have I mentioned that? You are getting to know a lot about me…first I tell you a bunch of things in the “Getting to Know Me” post, then the travel, and now shoes. I don’t know if this is fair. The problem I have is this – I like shoes, therefore, I buy shoes. That might not seem like a huge problem, that is, until your closet looks like mine and you have them in multiple locations in your house. Here are today’s – and yes, they match! I wish I could say that every pair of shoes I own have helped someone, but I can tell you that they most likely haven’t. Unless you count the fact that they are cute and may have brightened someone’s day by looking at them…oh wait, I don’t count for that, do I? Oh well, I tried! And I have to admit – I think I really need this hoodie! I am the same person that is still wearing my gray hoodie from college to the gym…what can I say – it is so comfy! I love this company! For every pair of shoes that are bought they donate a pair to a child in need. 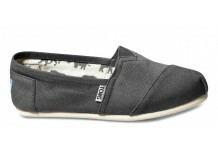 “TOMS – With every pair you purchase, TOMS will give a pair of new shoes to a child in need. One for One”. 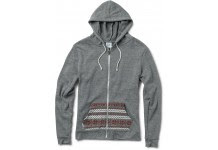 The same goes for the hoodie – they will donate a pair of shoes with each one that is purchased. I think it is pretty amazing that a company does something like this. So next time you are looking to buy a new pair of shoes, stop by www.toms.com and maybe you will see something you like and you can help put shoes on someone else’s feet at the same time.